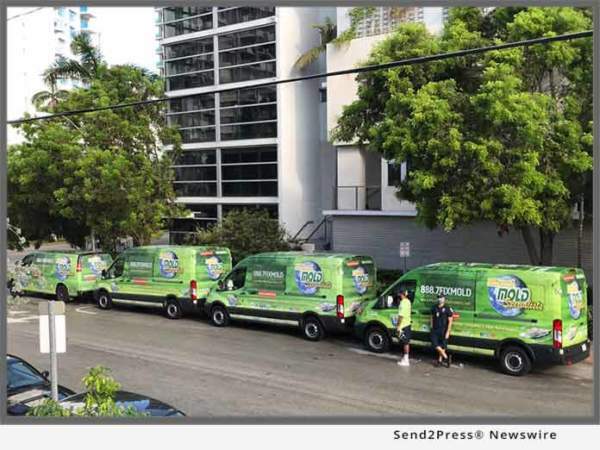 MIAMI, Fla. /Florida Newswire/ — Miami mold removal company, Miami Mold Specialist, shines as go-to source for mold, indoor air quality, and other related indoor environmental services. As leading Miami mold specialists, the company has been making waves all across South Florida. Featured in over 15+ local newspapers, numerous other local and national print and digital news outlets, has hundreds of positive reviews on popular social media outlets, has been featured on TV via Channel 4 Miami, has received multiple community awards. Miami Mold Specialist is also an active member within five plus nationally accredited organizations, recognized by the state as a multi certified indoor air quality, eco- friendly, mold remediation company, and has completed thousands of successful mold remediation projects over the past 30 years in both NYC and the greater Miami area. Since Hurricane Irma, Miami Mold Specialist has served well over 1,000 properties in the greater Miami area. Including residential properties, business locations, a wide range of larger commercial structures and buildings, marina’s, large ships and yachts, aircraft and jets, industrial buildings, and institutional properties.